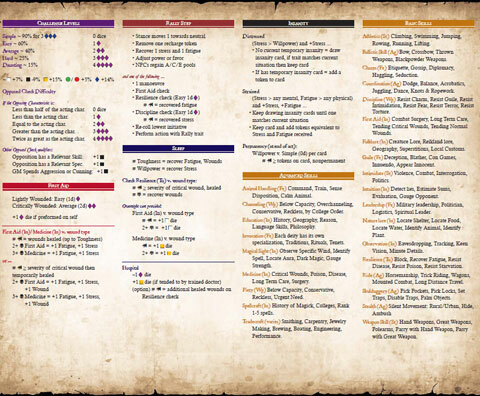 All content on this page created by Jesse Burke (a.k.a. 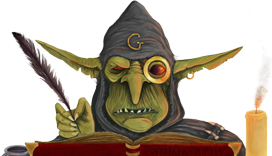 Gitzman or Hereticus) can be freely distributed and posted elsewhere. I do not however verify the stability, safety, or quality of the content. Enjoy at your own risk. 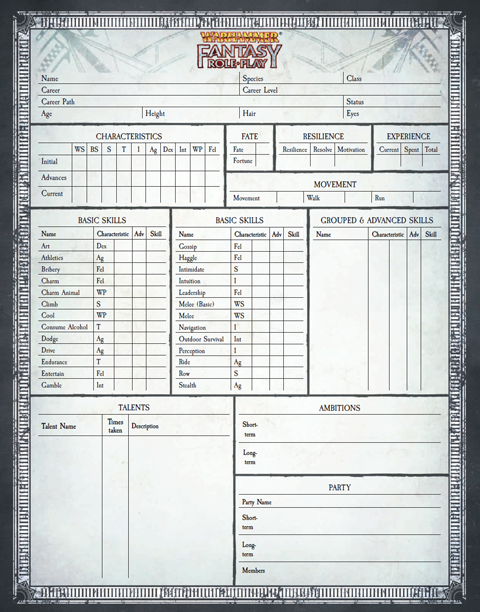 Suggested for digital use only, when printing blank fields are 0s. 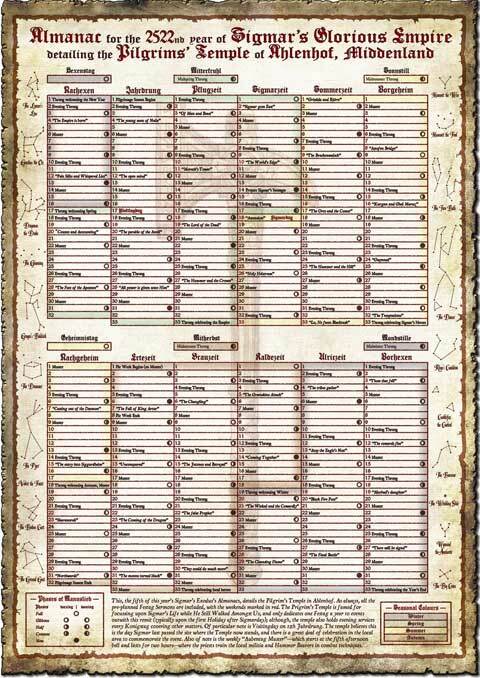 A highly detailed graphic calendar used by citizens of The Empire. 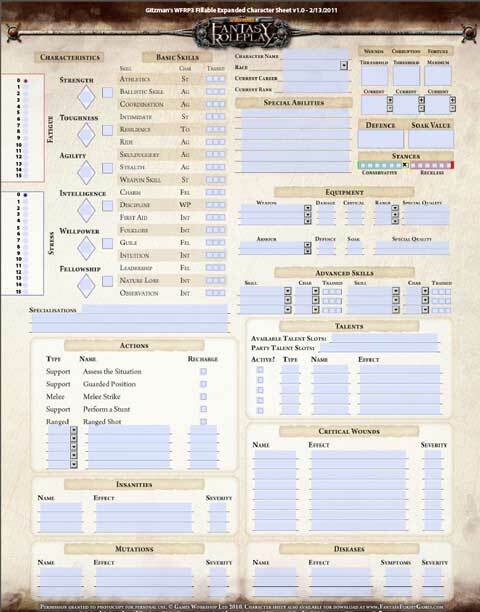 Streamlined character sheet design for new and advanced players alike. 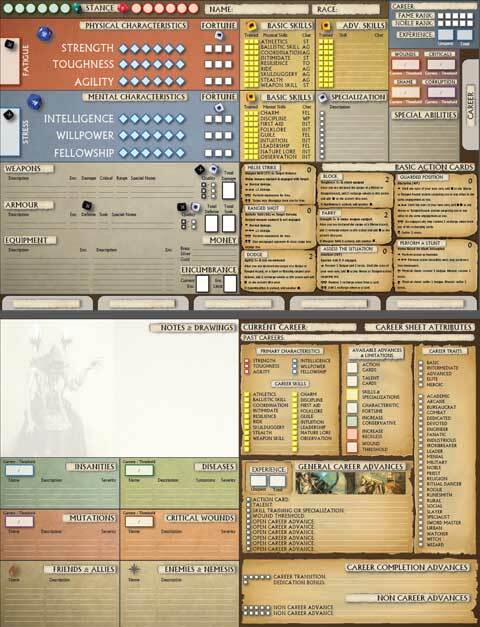 Redesigned to help you build your dice pools quickly and easily. 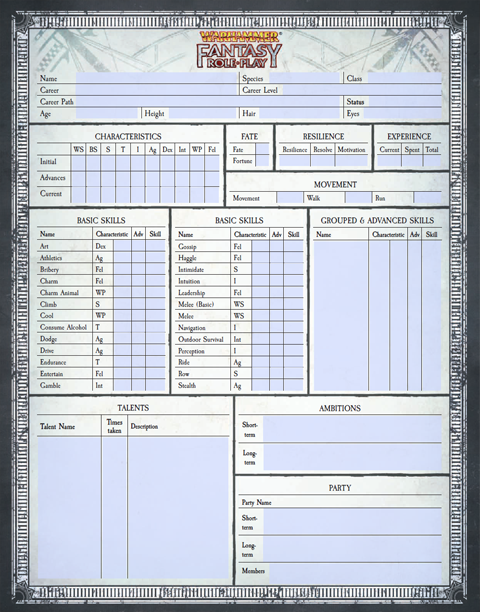 Includes all the basic action cards found on the WFRP original character sheet. 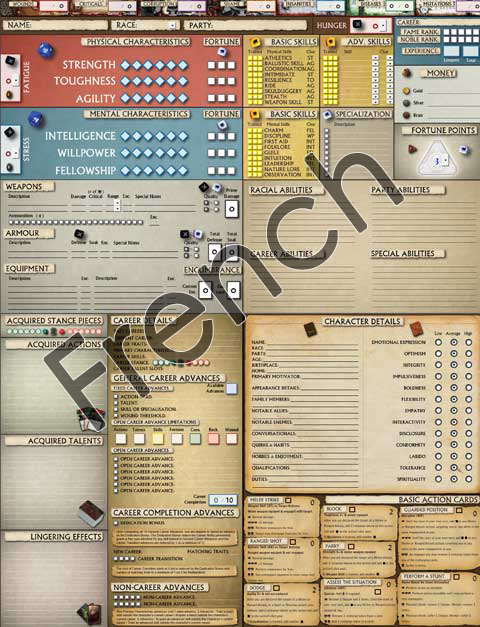 French translated character sheet design for new and advanced players alike. 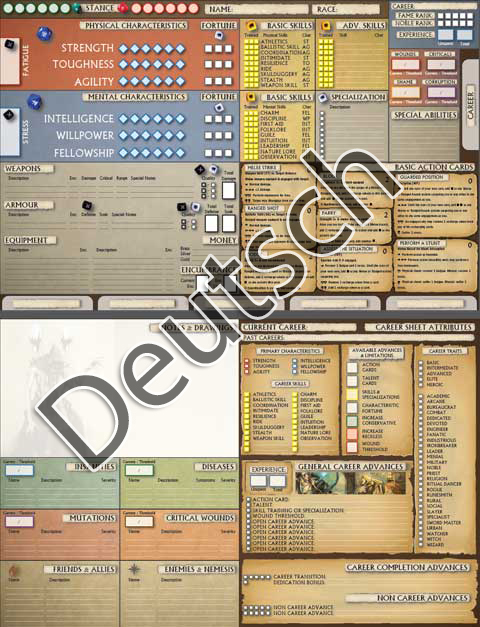 Deutsch translated character sheet design for new and advanced players alike. 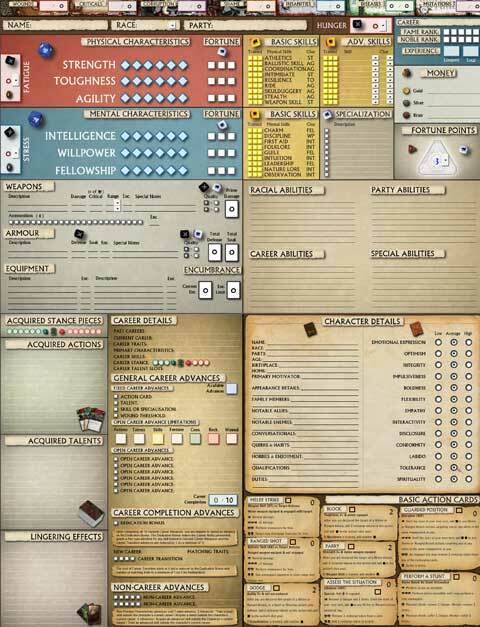 Redesigned to help you build dice pools quickly and easily. Intended to be used digitally. 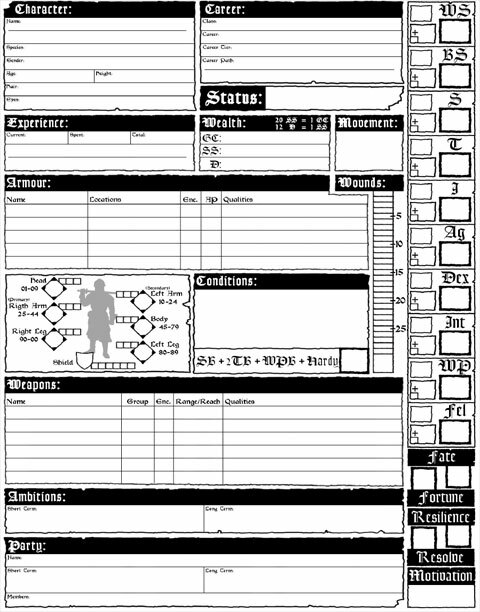 Fillable, expanded and savable PDF character sheet that auto-populates statistics, weapons, armor and skills based on the information you provide. 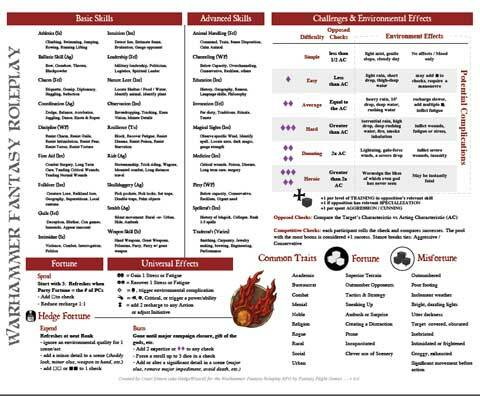 Includes fatigue and stress trackers, encumbrance limits, and a wealth of other statistical data. 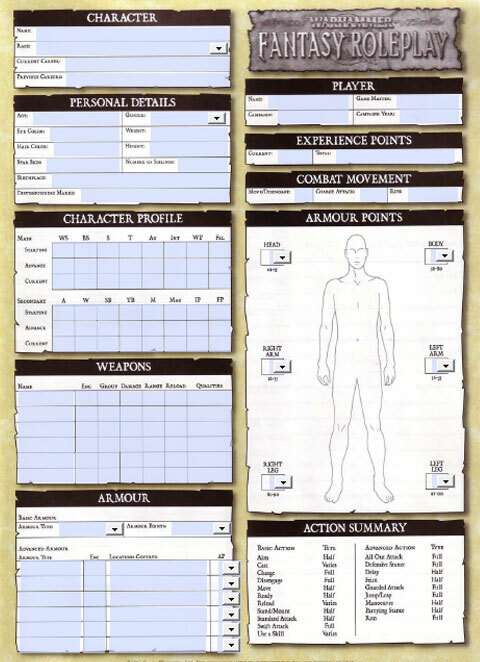 Fillable and savable PDF character sheet that auto-populates statistics, weapons, armor and skills based on the information you provide. 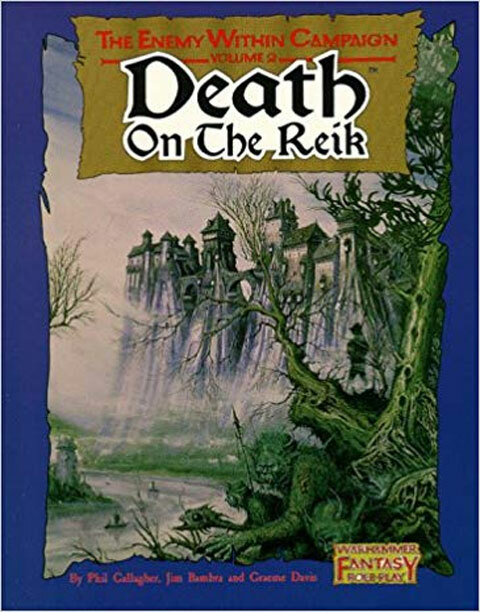 A wonderfully clean and concise summary of the rules and functions of the game. 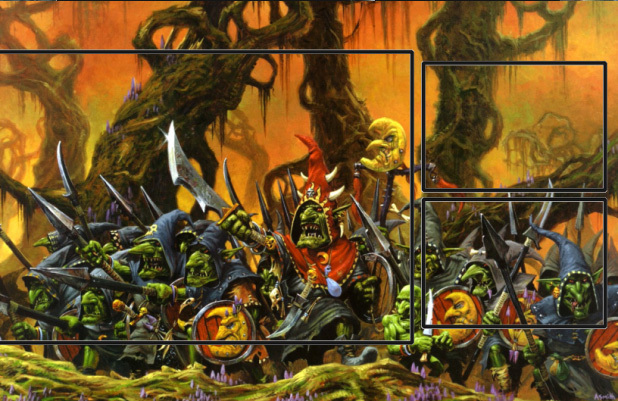 Layed out in landscape format for maximum space, though this limits your ability to use it as a replacement for the GM screen. 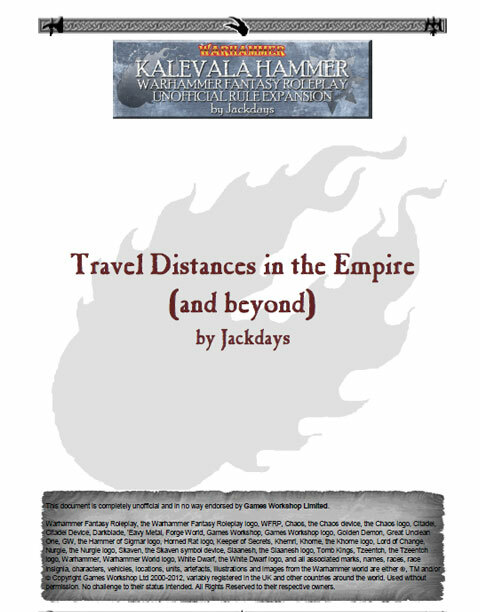 Regularly updated by the author. 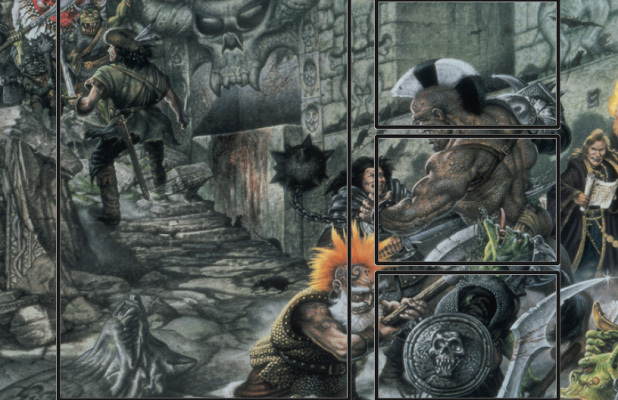 A fantastic 4 page hi-res GM screen with Warhammer-style graphics. 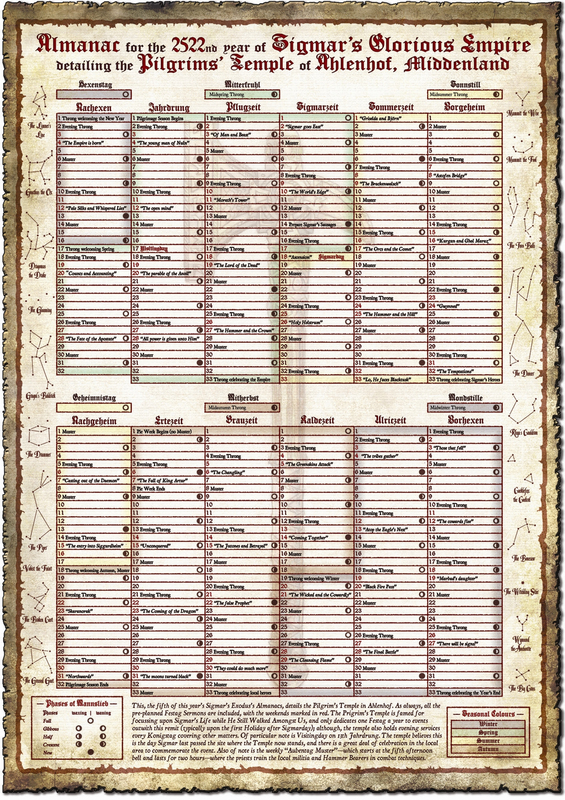 A must-have in place of the GM screen, or in addition to it. 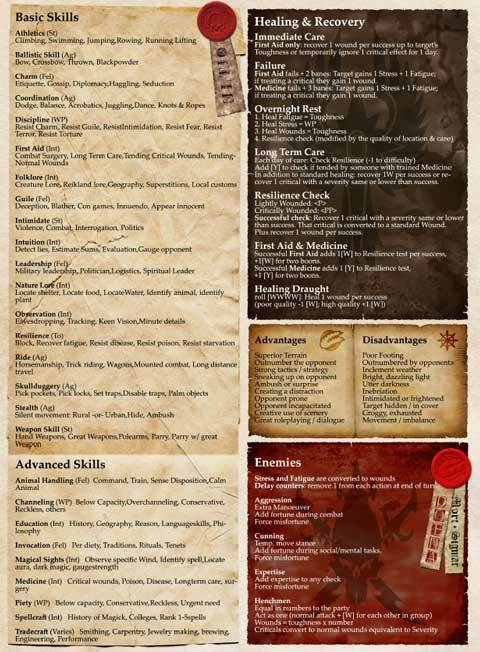 Sorry for the large file size, but the quality of the image and text is top notch. 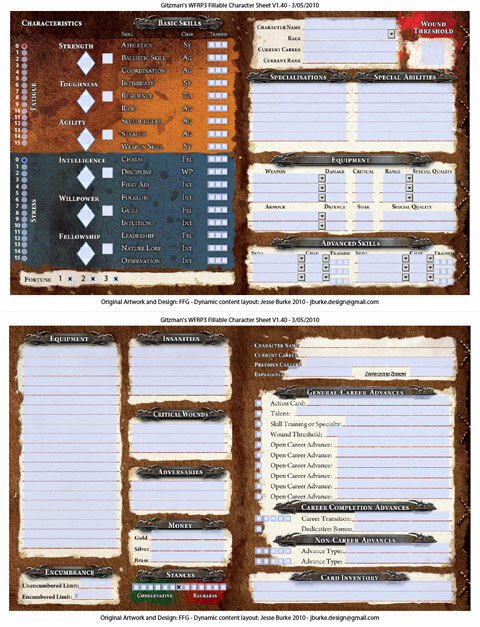 A simple and straightforward replacement for your GM screen. 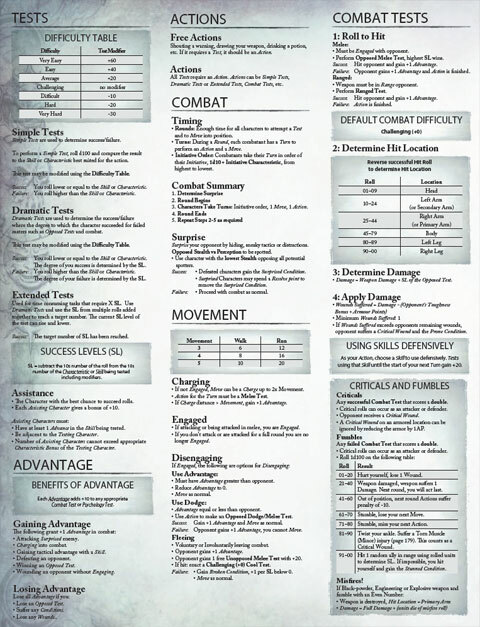 Simple to manage on 3 full pages. 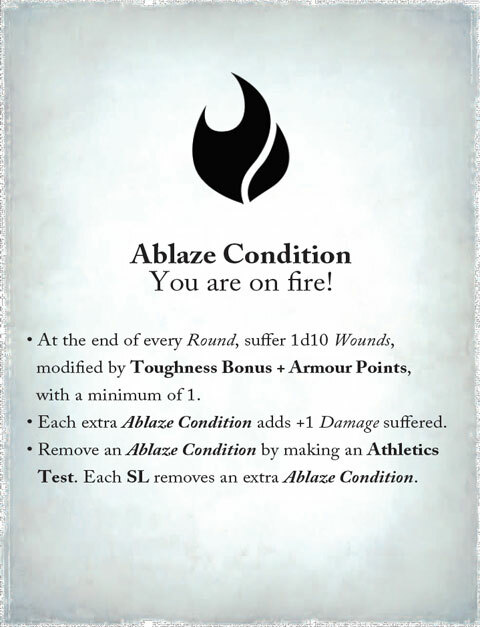 Suggested action cards for all standard creatures in WFRP3 to date. 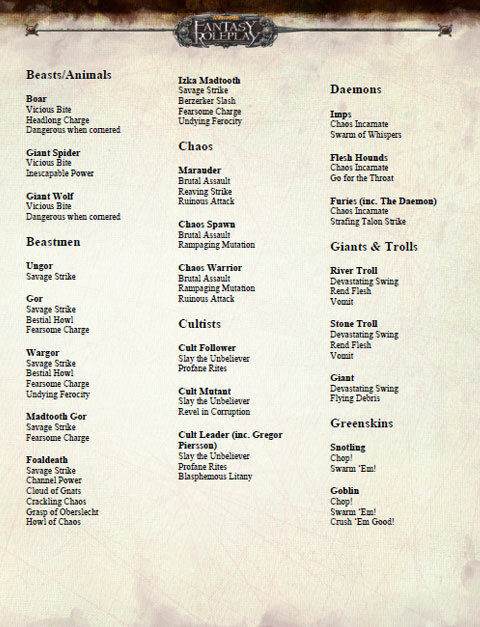 Goes above and beyond the basic WFRP cards and suggests appropriate add-on cards for a variety of monster types. 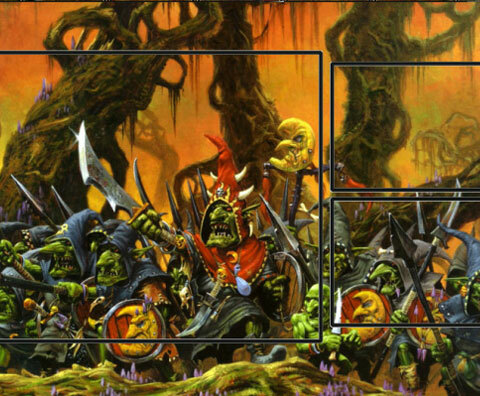 Superbly crafted board to which players can attach their card sleeves. 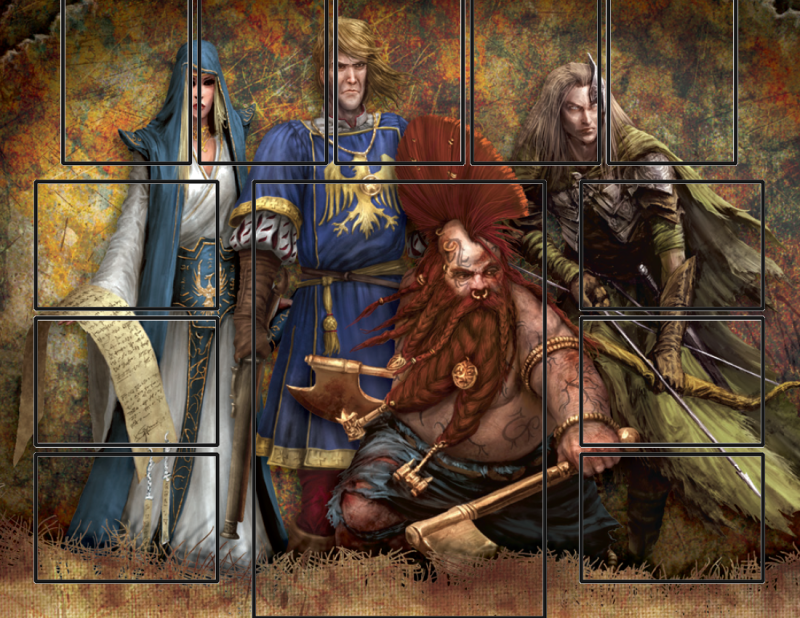 Creates a quickly accessible and durable panel that houses all your character information during play. No need to hover over the table and your mountains of tokens and cards. 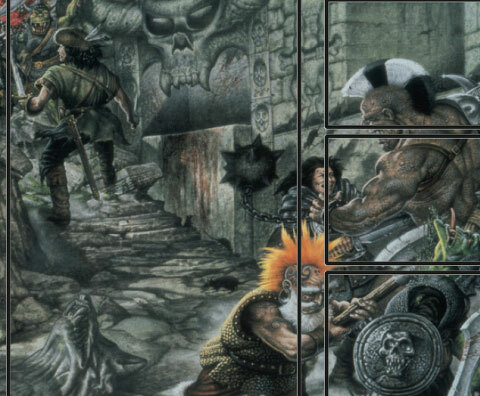 True Type Font with the WFRP3 symbols. Just throw this file into your Fonts directory and enjoy. 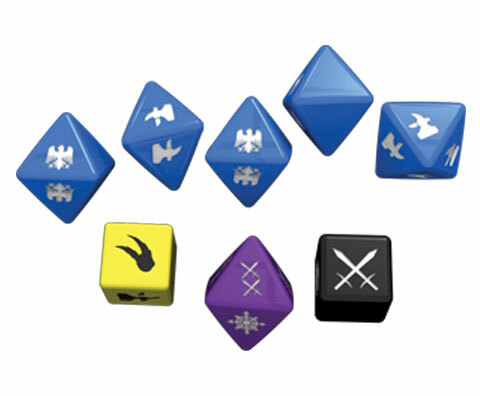 A PDF file that can be used to make stickers to put on dice as an alternative to tracking down the official dice. 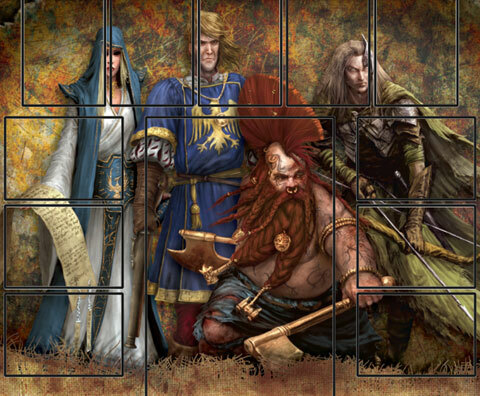 Print them at full size on US Letter sized paper, they fit well onto Avery 8253 Shipping Labels, and when cut out, the little stickers themselves fit nicely onto 16mm sized Chessex dice sets.